Walking home on a Friday night is a wonderfully relaxing experience. 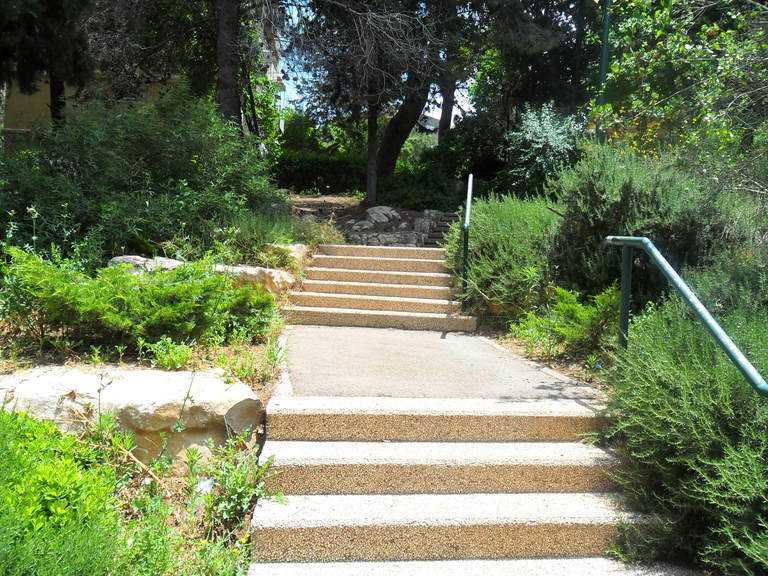 Now that spring and summer are here, and the sun sets later, I discovered a local beit knesset that starts earlier, and my walk home is… distinctly Israeli. Today on my walk, I decided to document this walk home and share my experience. 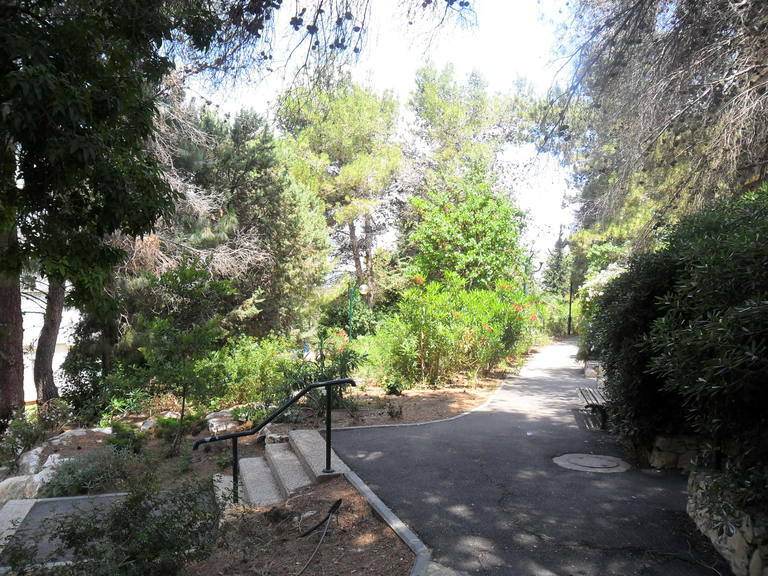 The walk home starts at the top of the Ma’alot hill near the “water tower” and winds through a cluster of pine trees, past the aging skateboard park and then across the street. This is where I start taking pictures. 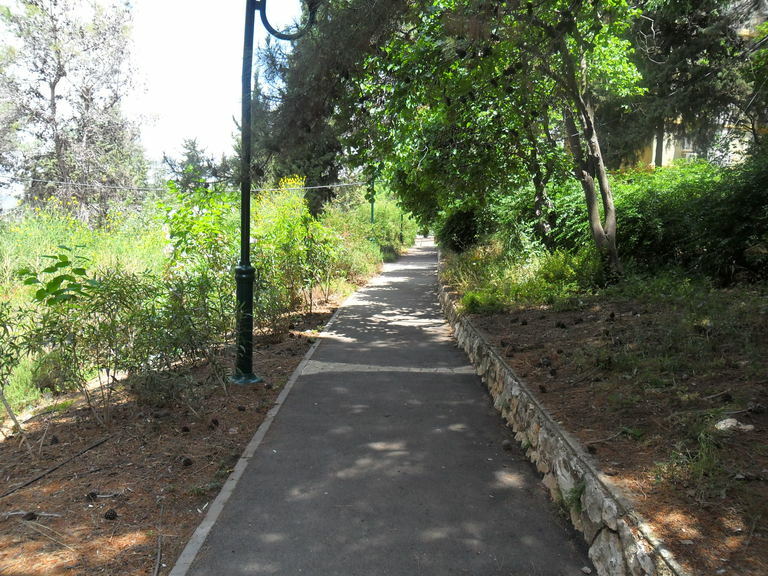 This fork in the path leads to two paths, both in the same direction – to the right. The one to the right is on the up-hill side and the other is the down-hill side. 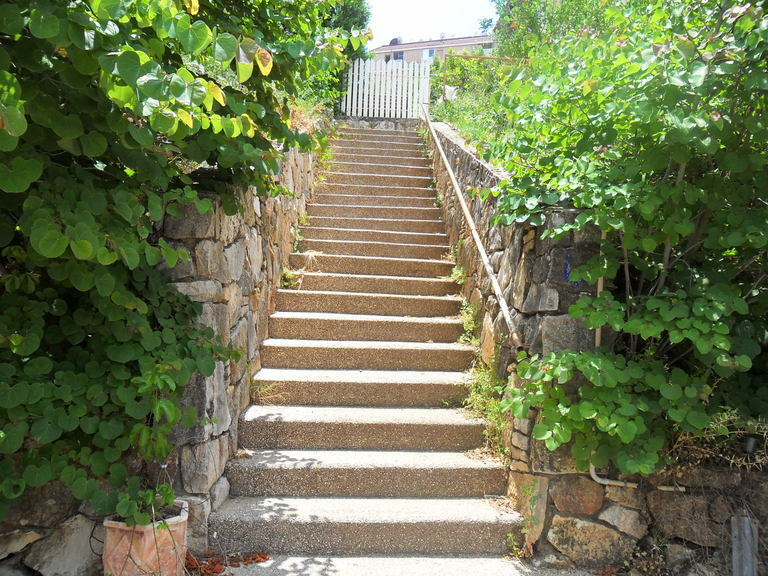 For today, I took the up-hill path, both are equally pleasant. The oleanders are coming into bloom! 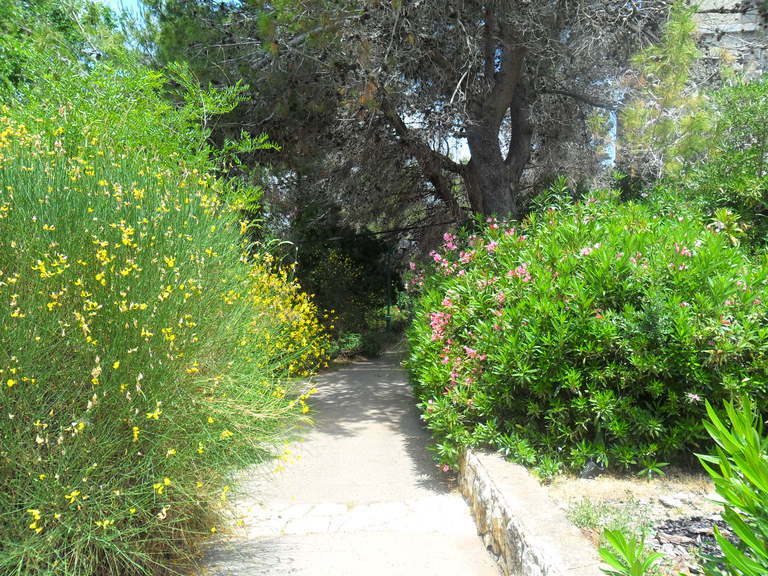 There are many options to go from one path to another. Benches are available for relaxing. Just enough lighting to make it safe. Stop and breathe! Smell the pines? Smell the rosemary? Smell the fresh clean air? Almost home - what a view! 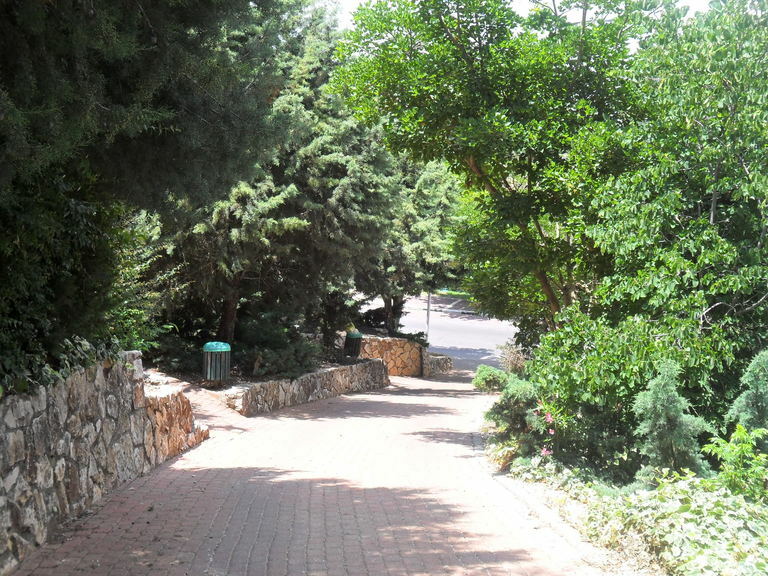 We pick up an access road right outside Eli Cohen, the beit knesset in front. Eli Cohen (the beit knesset) was named after an Israeli spy who worked his way up the Syrian government. Eli Cohen told Syria to plant trees near the boarder and hide their tanks there. 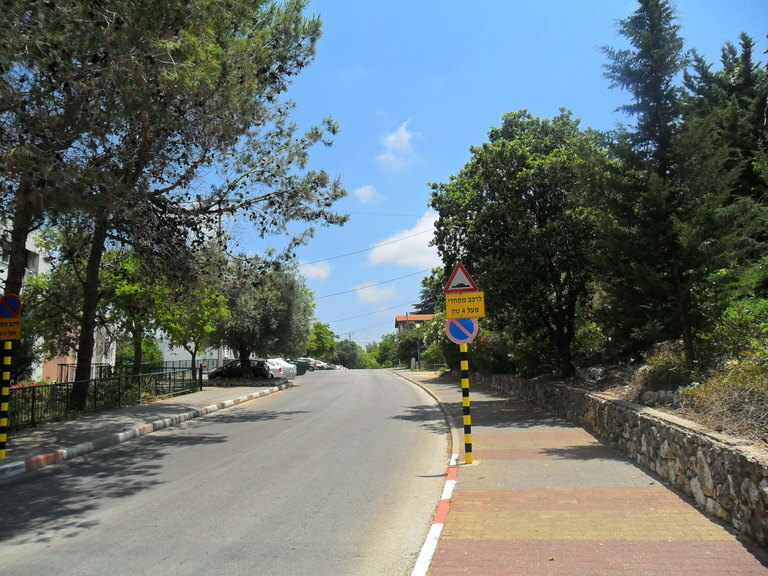 Eli Cohen told Israel to bomb clusters of trees near the boarder. Needless to say, Syria took a bad beating in that war. Unfortunately, Eli Cohen was executed for being a spy. 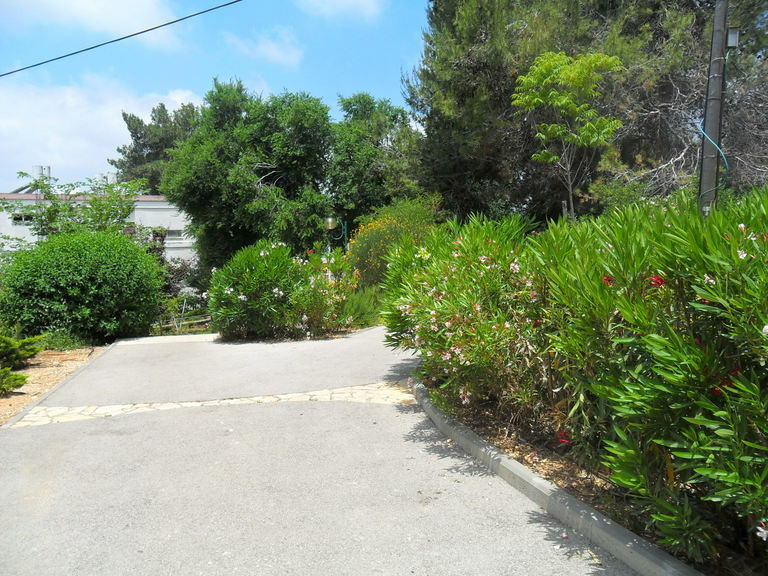 This access road leads to bottom of the hill and our street – Keren HaYesod. At the bottom of the hill, make a right. 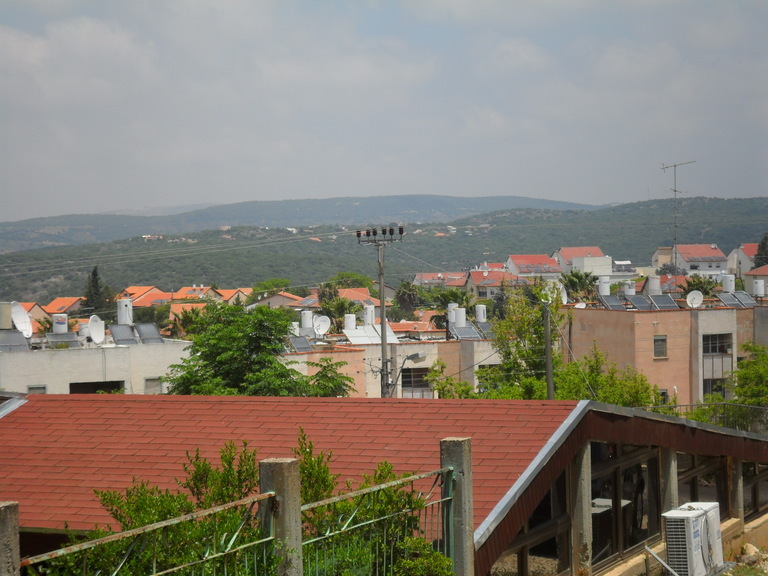 Keren HaYesod is one of the oldest streets in Ma’alot. Our house is just past the peak on the right. That’s it. After 30 steps and through our door, candles will be burning, the table is prepared and there are the sounds of happy family voices.